It’s one of the best single-cabinet stereo speakers in the world, and you no longer need to be an Apple user to enjoy it. 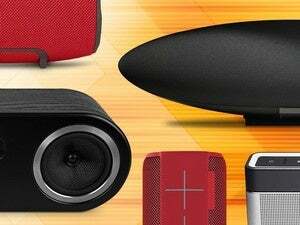 You’ll find a lot of changes in this, the third generation of full-sized Zeppelin speakers, and one thing that hasn’t: This speaker delivers an impeccable audio performance. So what has changed? The missing docking port is the most obvious. On the upside, losing the dock makes the cigar-shaped speaker look prettier than ever. On the downside, you can no longer use it to charge your iPhone or iPod or sync those devices to your iTunes library. 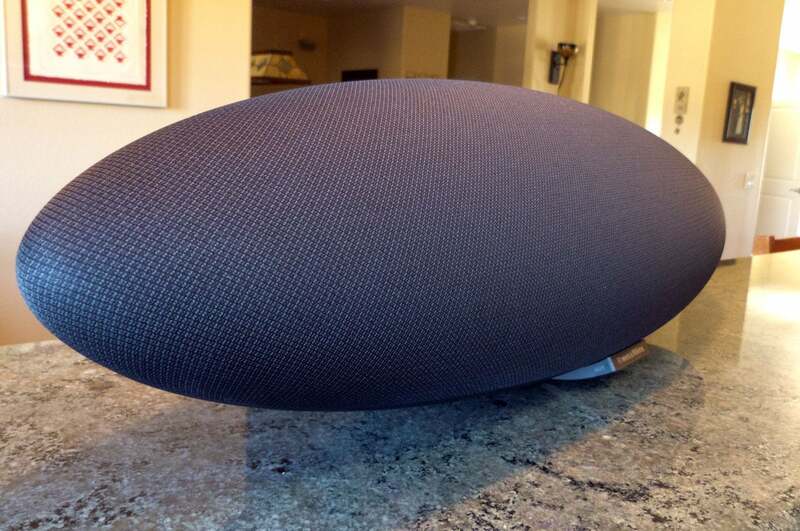 You'll be hard pressed to find a better AirPlay speaker than the Zeppelin Wireless. And now there's Bluetooth support, too! In other big news, the Zeppelin’s appeal is no longer limited to Apple users: It now supports Bluetooth streaming, complete with support for the excellent AptX codec, and Spotify Connect. More on those fronts later. You’ll still see a hardwired ethernet port, along with a 3.5mm auxiliary input, but the new model has shed its USB-B port. That means it can’t be used as a USB audio device with a Mac or PC. 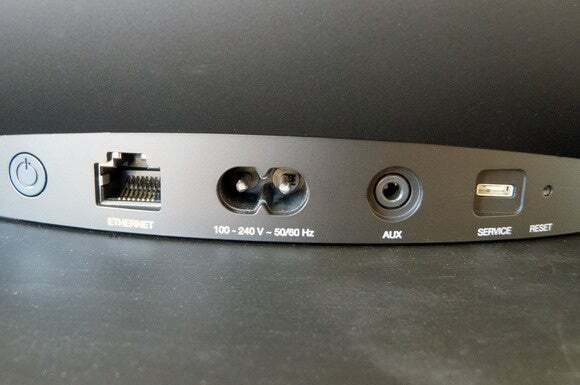 And the composite video output has disappeared, so you can’t hook it up to your TV to watch movies (which makes sense, since you can’t dock anything to it). But I’m willing to bet very few people used those features anyway, especially in the wake of streaming boxes like the Apple TV. 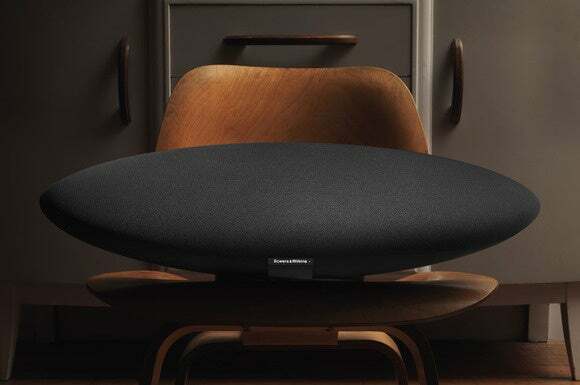 You’ll find most of the rest of the improvements under the hood, as Bowers & Wilkins says nearly every aspect of the Zeppelin Wireless has been redesigned and re-engineered. The enclosure houses two 25mm “double-dome” tweeters. A B&W spokesperson said this design—a thin aluminum dome for lightness, surrounded by a thicker aluminum ring to increase rigidity—was brought over from the company’s CM-series loudspeakers. Engineers cribbed from B&W’s 800-series Diamond speakers to build the two 90mm mid-range drivers. And then they stuffed a larger, 150mm long-throw subwoofer inside for good measure. Bowers & Wilkins brought some technology from its high-end loudspeakers to the new Zeppelin Air, including the design of its two 90mm mid-ranges. 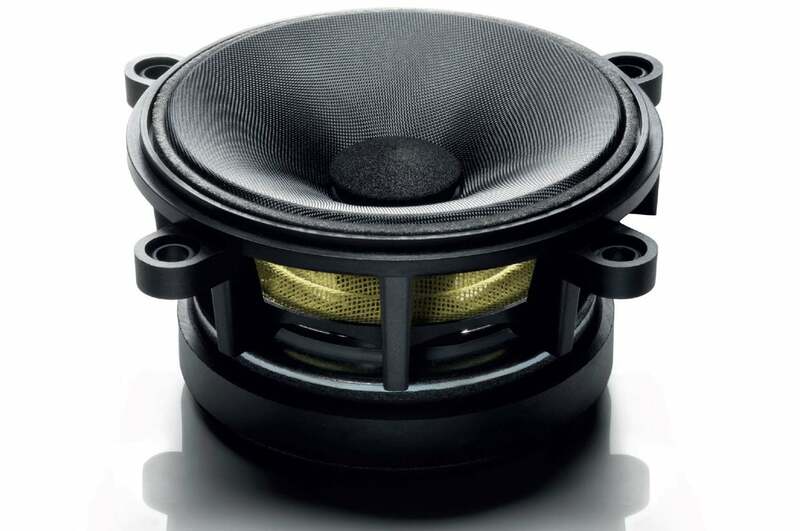 Each driver is powered by a dedicated Class D amplifier that sends 25 watts to each tweeter and midrange and 50 watts to the sub. As with previous generations, the new Zeppelin Wireless is outfitted with both a DSP (digital signal processor) and DAC (digital to analog converter), but these components are now much more powerful. The DAC upsamples all audio inputs to 24-bit resolution and a 192kHz sampling rate to reduce aliasing when the signals are converted back to analog. Finally, the new Zeppelin Wireless’ cabinet was re-engineered to be more rigid and resistant to vibration. Fabricated from 30-percent glass-fiber-reinforced ABS, its walls are 50-percent thicker than earlier generations. Turn the unit around and you’ll discover that the bass ports are gone, too. They’ve been replaced by a number of small vents to relieve the internal pressure that would restrict the driver’s movement. Run your fingers along to the top of the cabinet and you discover slightly raised buttons for volume and transport control (play/pause). Look ma! No bass ports! 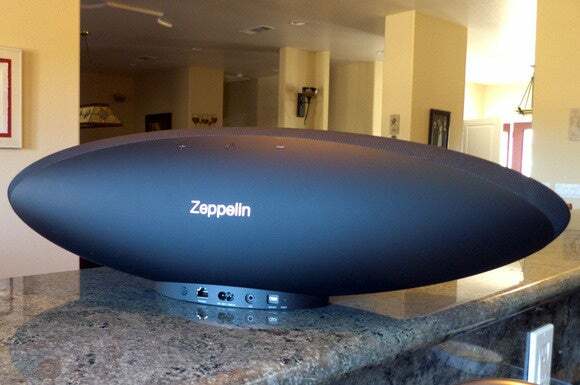 Being a Zeppelin, you know the speaker is going to support Apple’s AirPlay wireless music-streaming technology. But Bluetooth support means it will appeal to anyone who appreciates great audio. Pairing my Android phone was a snap. You simply touch the right-hand-side of the base to put the speaker in pairing mode and then look for the speaker on your phone or tablet. I found Bluetooth range to be excellent: I could wander more than 60 feet into another part of my house before the stream started breaking up. If you want to use Spotify Connect (you must be a paid subscriber, it’s not available at the free tier), but you don’t have an iOS device, you’ll need to download B&W’s control software to a Windows PC or a Mac. There’s a one-time procedure that’s required to add the speaker to your Wi-Fi network, but there is no Android app at this time. If you live in a mixed Android/iOS home, know that switching back and forth between AirPlay and Bluetooth is a bit of a chore. To change from Bluetooth back to AirPlay, I had to first unpair the Bluetooth devices, and then switch iTunes from the Zeppelin to the iMac and back again before AirPlay would resume streaming to the Zeppelin. Connectivity has been drastically simplified: Just ethernet, power, and aux input, and a USB port for firmware upgrades. I listened to a number of tracks encoded in Apple Lossless and streamed over AirPlay, and several songs encoded in FLAC and streamed over Bluetooth. When I played Dave Brubeck’s “Blue Rondo À La Turk,” from his album Take Five, I was very impressed with the Zeppelin Wireless’ stereo separation. The ride cymbal sounded as though it was emerging far left of the actual speaker, and the walking bass line was rendered with exquisite precision. I could hear each string vibrate as the bass player plucked it. The Zeppelin Wireless delivered very well-balanced perfomances with classical music as well, delivering the dynamic nuances of Hector Berlioz’s Symphonie Fantastique, as performed by the London Symphony Orchestra, directed by Sir Colin Davis, and recorded in 2002. I listened to Cara Dillon’s performance of the Irish folk song “Moorlough Mary,” from her album A Thousand Hearts, to see how the speaker would handle vocals and acoustic guitar. I wasn’t disappointed. Dillon’s voice was rendered with extreme clarity, and the guitars came across suitably crisp and bright. The new dock-less Zeppelin is even more beautiful than the original. $700 is a lot of dough to drop on a speaker, especially since we haven’t been able to review the just-about-to-ship $500 Sonos Play:5. But if you’re an avid Apple/AirPlay household and can swing the budget, you won’t be disappointed with the latest effort from Bowers & Wilkins. It sounds as gorgeous as it looks.